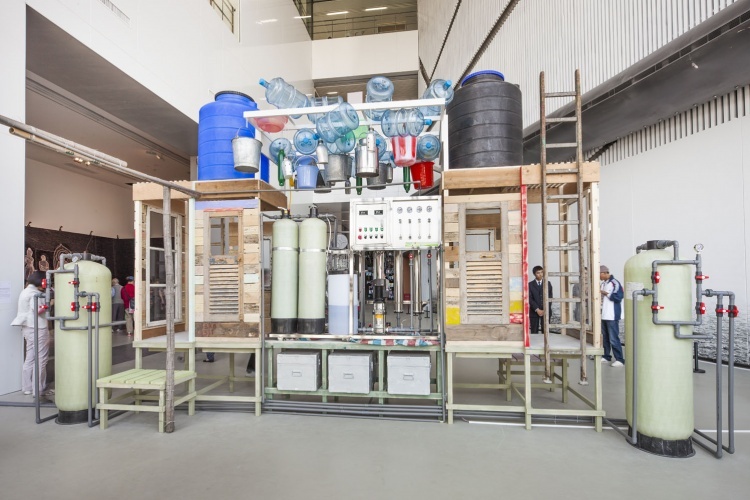 OrtaWater focuses on water scarcity and the complex issues surrounding the corporate control of access to clean water. 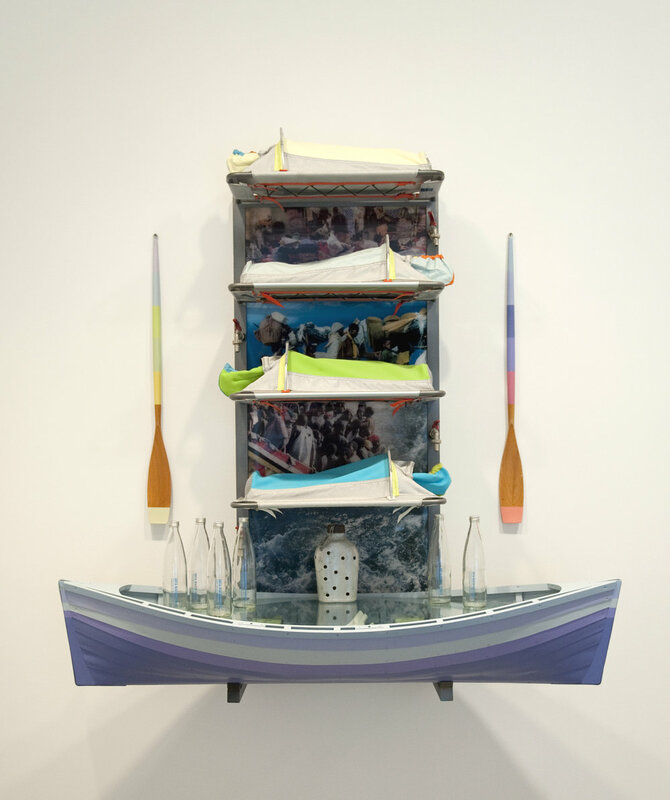 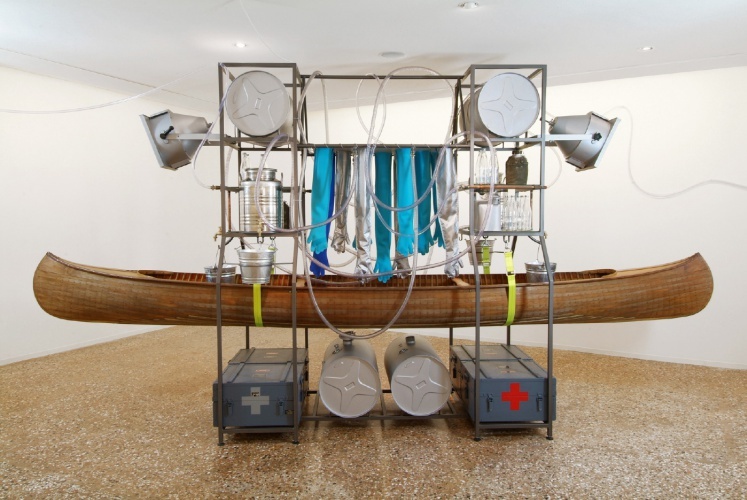 The sculptures and installations Lucy + Jorge Orta create are both playful and provocative, incorporating fully functioning low-cost purification machinery, bottling stations and transportation devices that enable filthy water to be pumped and filtered directly from neighboring polluted water sources. 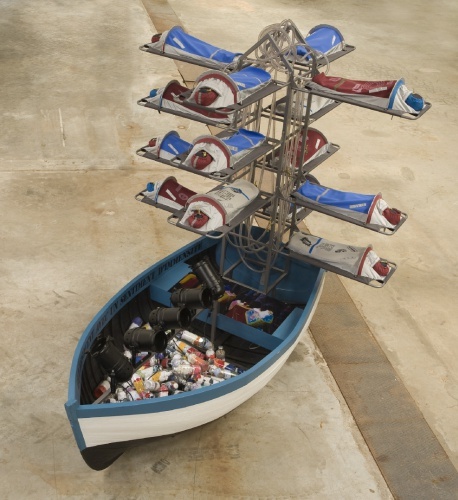 The aim of the artists is to broaden of our understanding of water availability, the effects of pollution, and to demonstrate simple purification and distribution solutions.